A larger version of the Aspendale II, the Belfont is designed for narrow, deep building lots. Enter the welcoming foyer into the spacious family room or home office. The kitchen, with walk-in pantry, features a raised bar perfect for entertaining and a ½ bath in the rear hall. 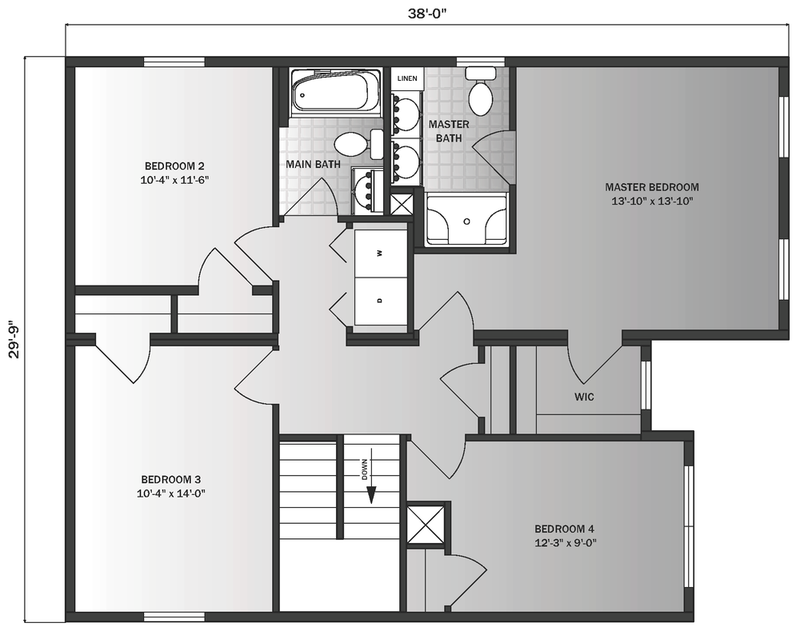 The second floor has four bedrooms, including the master suite, and a laundry area. 4 Bedrooms | 2.5 Baths | 2,130 sq. ft.
First Floor: 1,065 sq. ft.
Second Floor: 1,065 sq. ft.